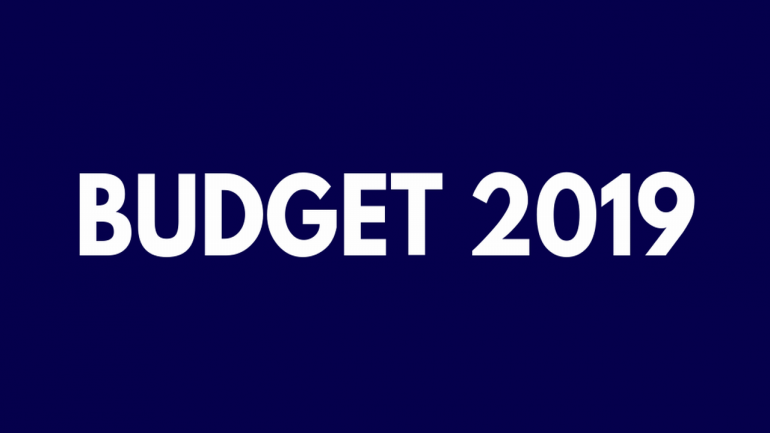 Finance Minister Piyush Goyal increased the allocation for the education sector by 12.2 percent to Rs 93,847.64 crore in the Interim Budget 2019-20. But the real good news is for college teachers, as the outlay for improvement in the salary scale of university and college teachers has been raised nearly five-fold from Rs 469.18 crore (revised estimate of 2018-19) to Rs 2,000 crore in 2019-20. According to the expenditure budget documents, department of school education and literacy has been allocated Rs 56,386.63 crore while the department of higher education has been given Rs 37,461.01 crore. This meets the expectation of the education sector, which was hoping for an at least 10 percent increase in the total budget allocation for the school education and the higher education segment put together. However, there is no outright increase across segments in the education segment. Detailed documents reveal that for certain segments like the Higher Education Finance Agency (HEFA), which invests in building education infrastructure; and Indian Institutes of Information Technology (IIITs), the budget outlay has been reduced. Take HEFA, for instance, where outlay has been reduced from Rs 2,750 crore last year to Rs 2,100 crore this year. HEFA, a not-for-profit organisation has been set up to leverage funds from the market and supplement them with donations and CSR funds. These funds are to be used to finance improvement in infrastructure in top educational institutions and be serviced through internal accruals. Similarly, the outlay for IIITs has been reduced from Rs 440.41 crore (revised estimate of 2018-19) to Rs 363.34 crore in 2019-20. Under the school education segment, there was a spike in the allocation for the National Education Mission. As per the expenditure budget, the outlay for this mission has been set at Rs 38,572 crore in 2019-20 compared to Rs 32,334 crore in revised estimate 2018-19. “The National Education Mission has been allocated just Rs 38,572 crores. However, we were expecting a better cut towards the education sector, said Beas Dev Ralhan, CEO, and Founder, NextEducation India. The company offers training solutions for students in the K-12 segment. National Education Mission also called Samagra Shiksha consists of schemes like Sarva Shiksha Abhiyan (elementary education), Rashtriya Madhyamik Shiksha Abhiyan (secondary education) and teachers training, adult education. Similarly, under the National Programme of Mid Day Meal in Schools, the outlay has been increased from Rs 9949.04 crore in 2018-19 to Rs 11,000 crore in 2019-20. With a view to enhancing enrollment, retention and attendance and simultaneously improving nutritional levels among children, the National Programme of Nutritional Support to Primary Education was launched in 1995. From 2008-09 onwards the programme covers all children studying in class I to VIII in all areas across the country. In the previous budget, the government had proposed a major initiative named ‘Revitalising Infrastructure and Systems in Education (RISE) by 2022’ with a total investment of Rs 1 lakh crore in next four years. Arun Jaitley had mentioned that HEFA would be suitably structured to fund RISE that would step up investments in research and related infrastructure in premier educational institutions. No mention of RISE was made in the interim budget. Also, Goyal made no mention of the progress under the digital board scheme announced in the previous budget. Arun Jaitley had announced in Union Budget 2018-19 that they propose to increase the digital intensity in education and move gradually from blackboard to digital board.